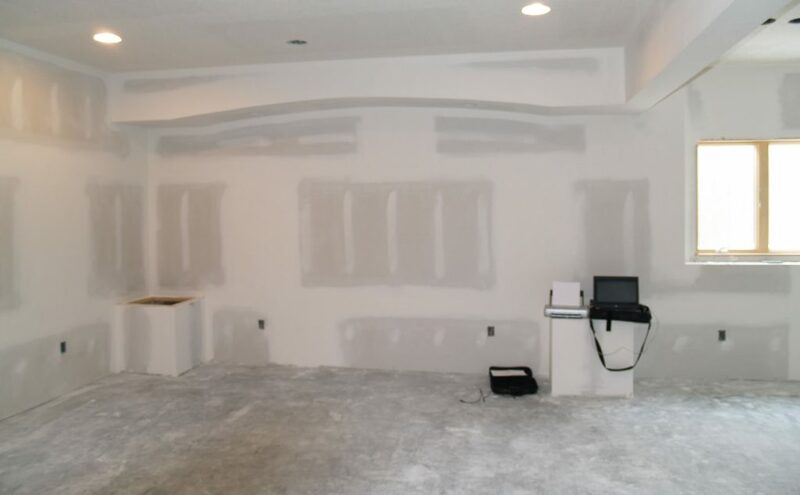 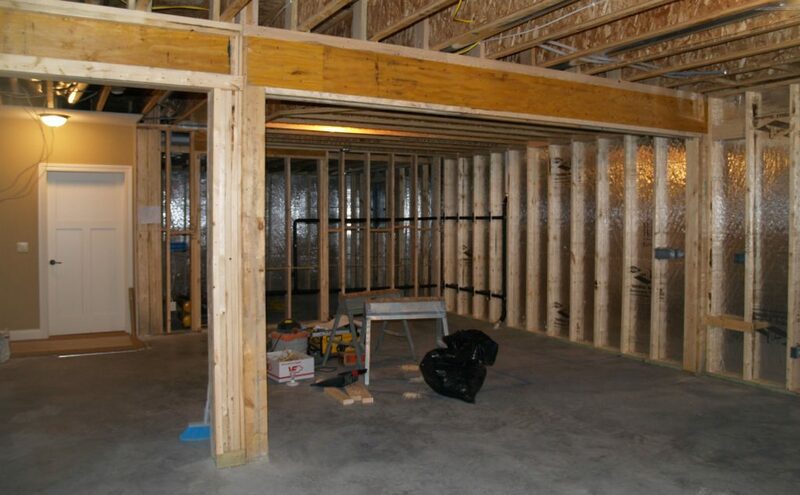 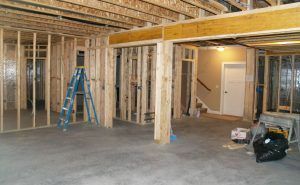 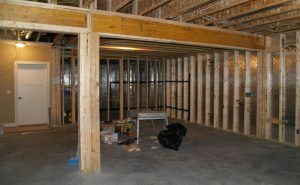 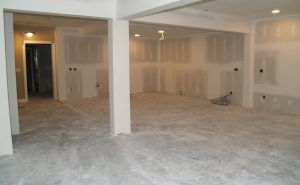 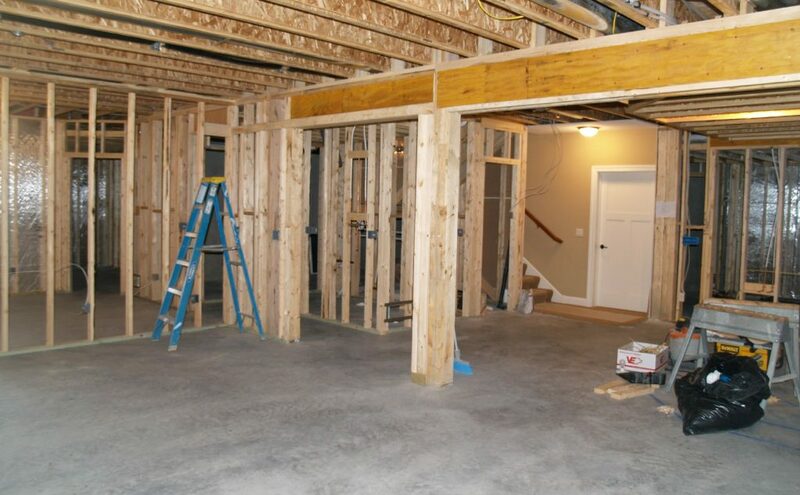 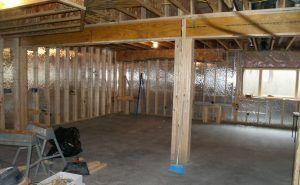 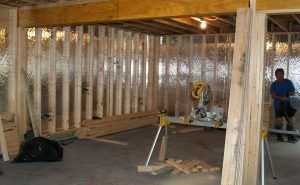 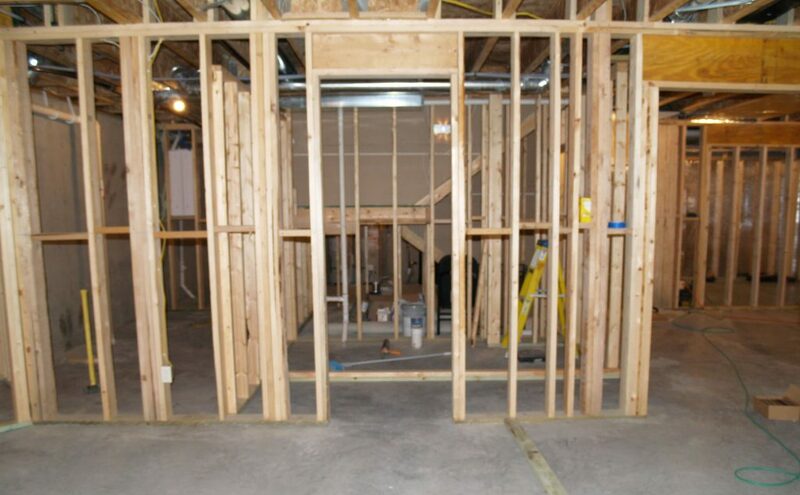 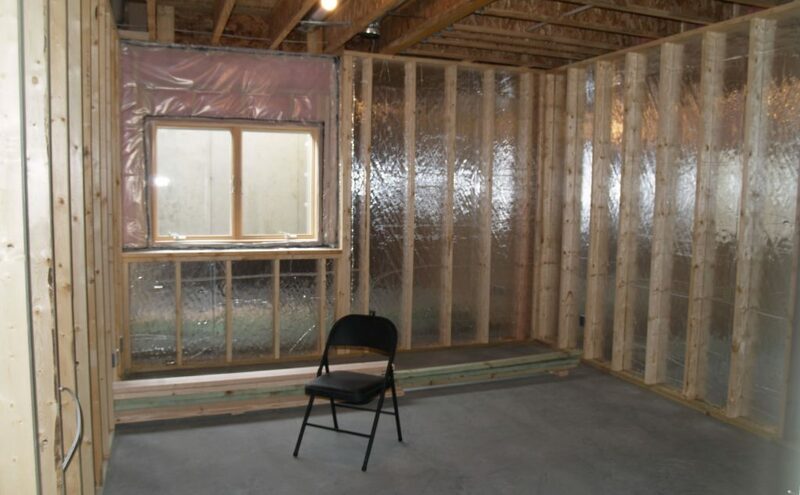 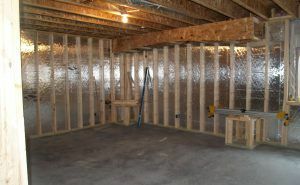 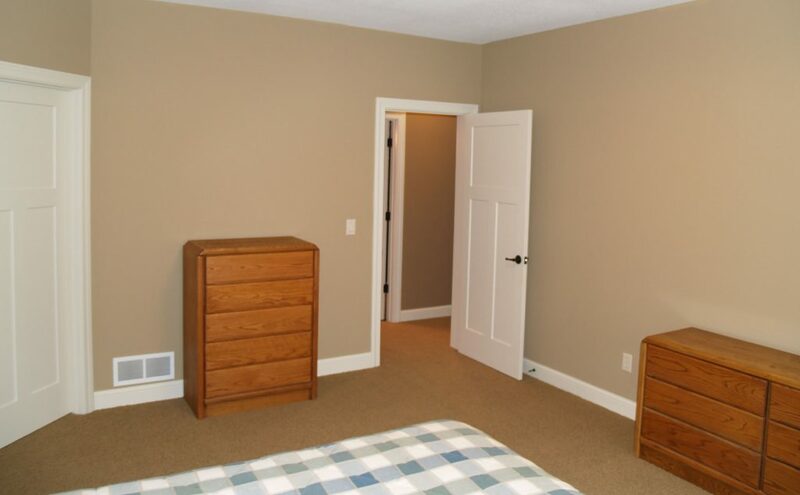 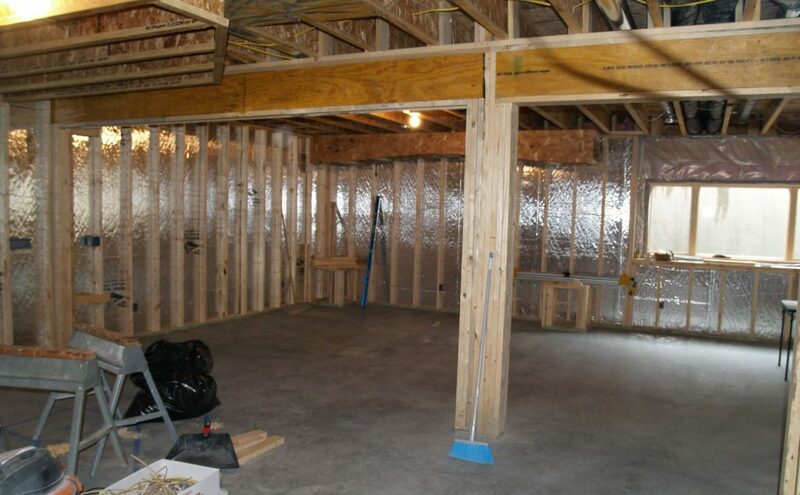 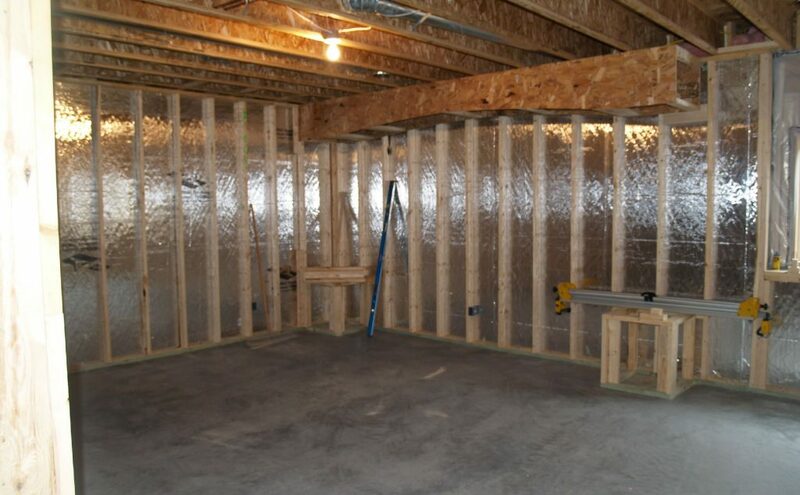 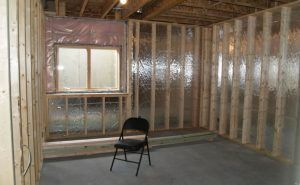 Finish basement. Project plan is for custom full service bar, home theater area, game table area, a bedroom and a bathroom. 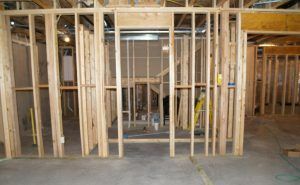 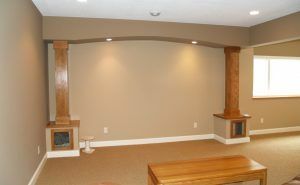 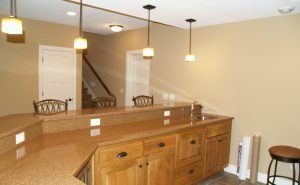 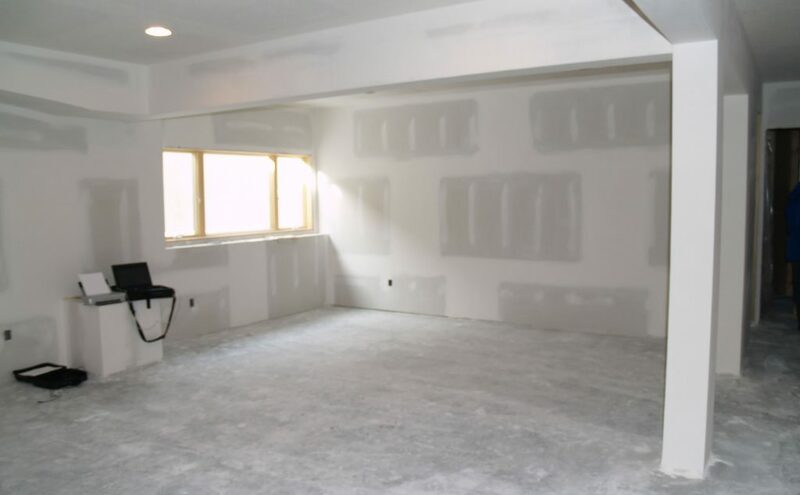 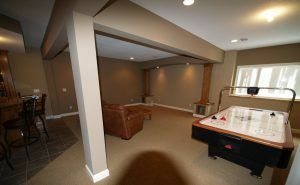 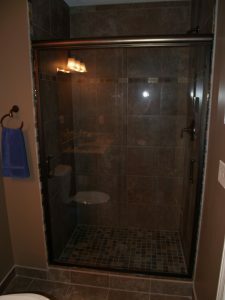 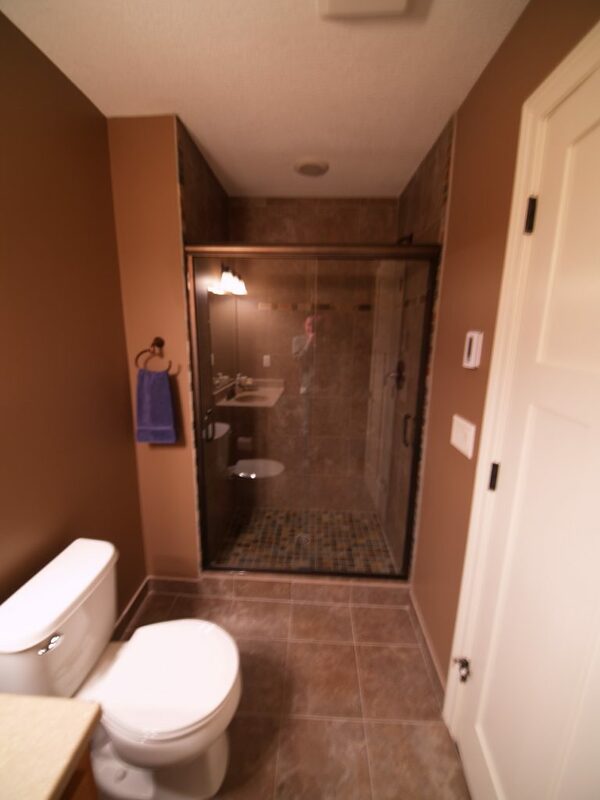 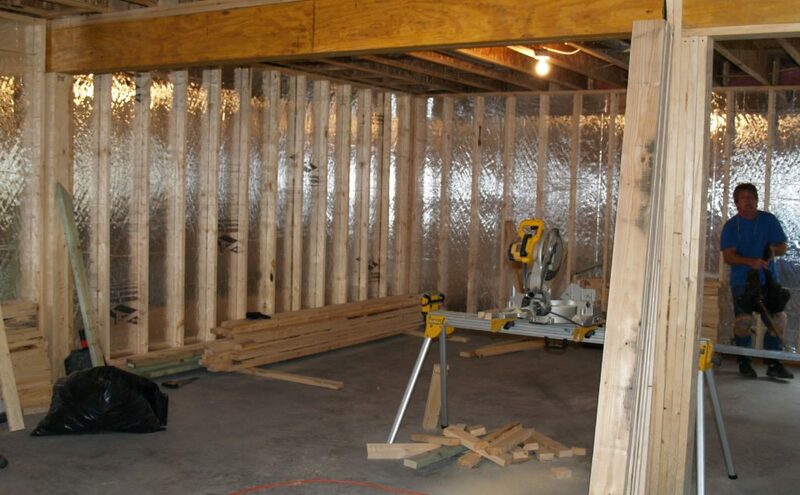 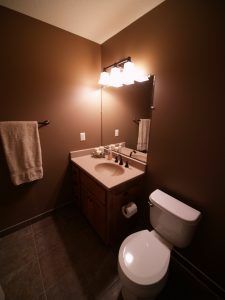 As young executives the home owners desired a basement remodel to suit the needs for entertaining and relaxation. 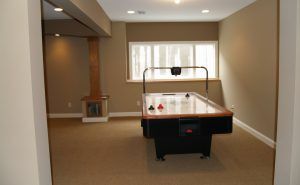 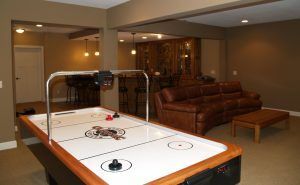 We designed the basement to include; a home theater for movies, a game table area for air hockey; a full service bar that seats seven; bedroom and 3/4 bathroom. 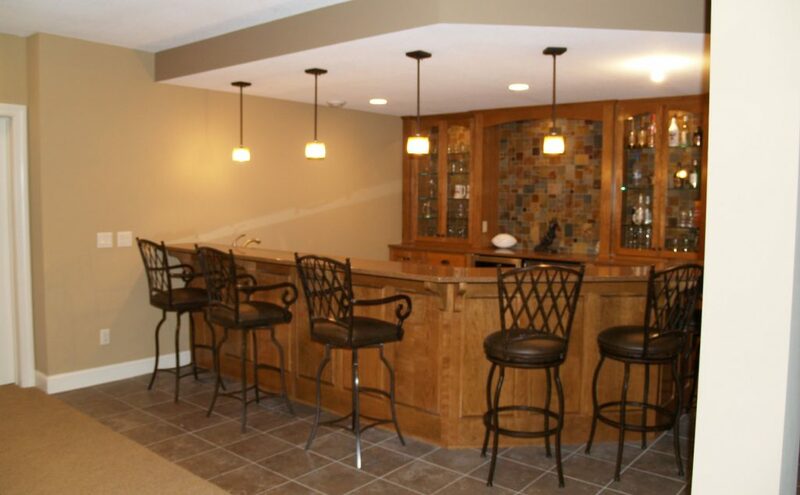 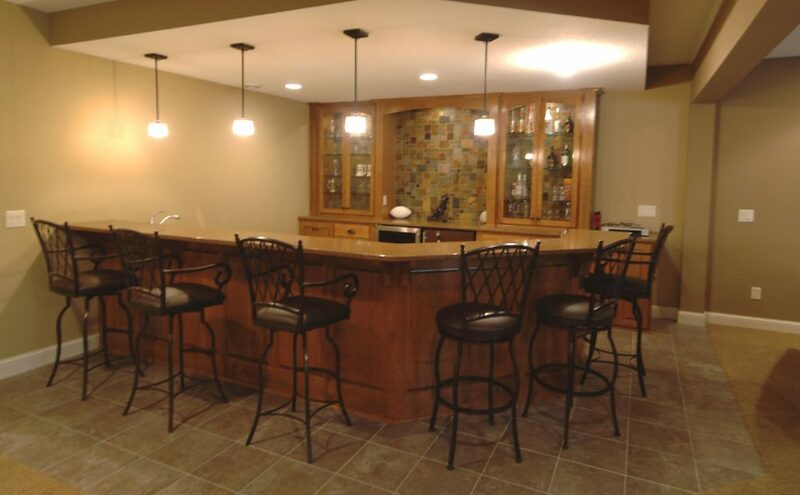 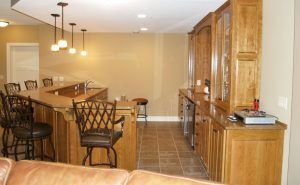 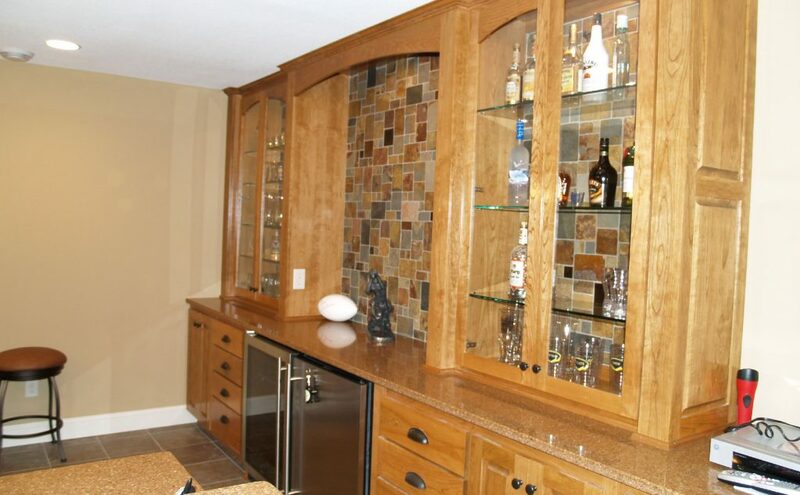 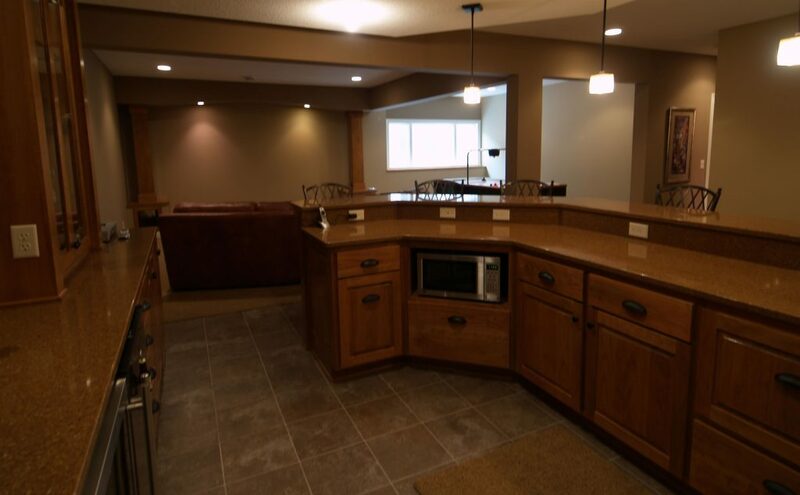 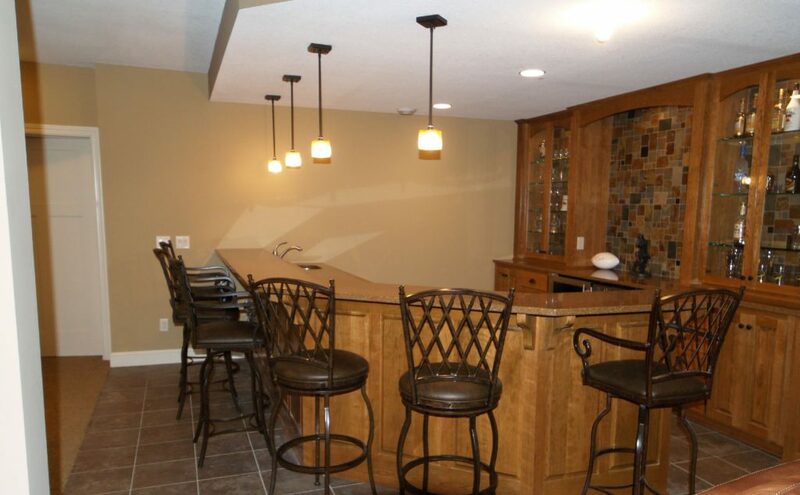 The bar was built out of solid cherry wood and includes all of the luxuries of a full kitchen. 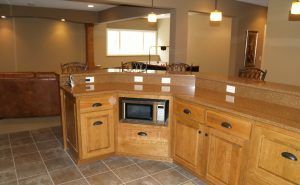 A dishwasher, sink, two refrigerators and a microwave. 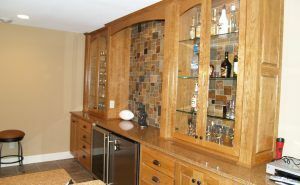 Also included is a back bar and cabinetry with glass door’s for display. 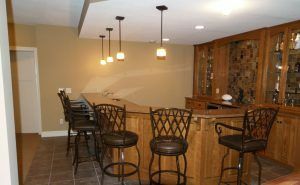 The back bar also features a slate wall great for displaying art work and ties into the slate in the bathroom.